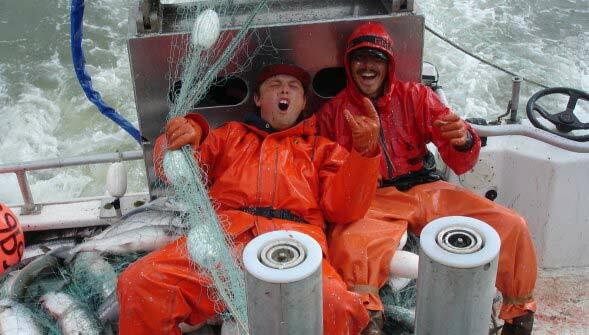 AlaskaJobFinder is the leading website for finding fishing industry jobs in Alaska. We specialize in helping people who are looking for Alaska fishing industry employment find rewarding jobs in Alaska. The Salmon Fisheries – Providing over 20,000 great summer jobs! The Alaska Crab Fisheries – How to break into these lucrative fisheries (King Crab, Opilio Crab, Tanner Crab and Dungeness Crab). The Halibut and Blackcod Longline Fisheries – Great jobs and excellent pay. The Groundfish Fisheries – From working on large Factory Trawlers to the smaller trawler boats. The Herring Fisheries – These short, fast-paced fisheries can provide huge earnings in a very short period of time. 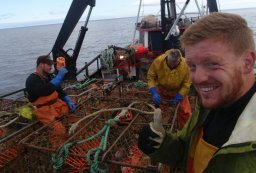 Whether you want to work as a deckhand, on an at-sea processor or at a land-based seafood processor, we have you covered. 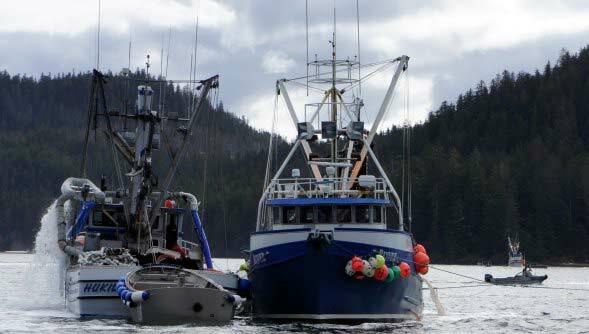 We also cover tender boat jobs and the other Alaska fishing industry support jobs. The Alaska fishing industry offers lots of great job opportunities for both males and females and previous experience is not necessary for many of the jobs. Find a great Fishing Industry Job in Alaska Today! and a variety of other great jobs in Alaska! *Benefits will vary by employer. Please confirm your benefits package before accepting employment. The fishing industry is Alaska’s largest private employer and employs over 59,800 people for summer, seasonal and year-round employment (32,000 fishermen, 25,000 seafood processing workers and 2,800 over other fisheries workers). Of these fishing industry workers, more than 34,000 were non-Alaskans in 2016. 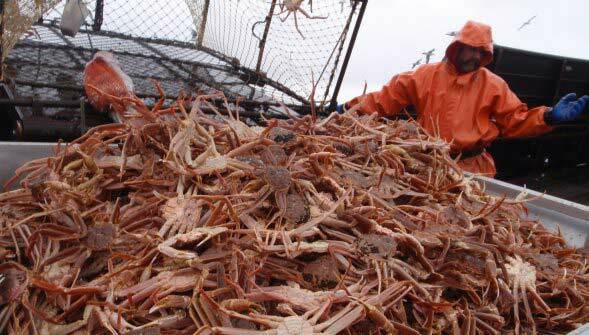 In fact, residents from every U.S. state worked in the Alaska fishing industry last year. The state’s fisheries average over $10.6 billion in revenue per year and account for nearly 61 percent of the volume of fish and seafood landed in the United States. Since a substantial percentage of fish processing and fishing jobs are filled by non-residents of Alaska, many workers are college students and adults who spend a season or two in Alaska earning great money, meeting new friends, and having the experience of a lifetime. AlaskaJobFinder, a division of M&L Research, Inc., was developed to help make your job search as effective and efficient as it can be. 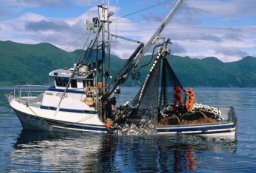 For over twenty years M&L Research has been a premier employment research organization specializing in the Alaska fishing industry and other Alaska jobs. The company has helped thousands of individuals find great cannery, processing, and deckhand jobs in Alaska’s lucrative fishing industry. Our research reports have been widely referred to as the undisputed “Bible” for finding employment in the fishing industry since 1985. Find out how becoming a member can help you find your dream job in Alaska. Get Started on your Alaska Job Search Now! Become an AlaskaJobFinder Member for the straight scoop on fishing and seafood processing jobs in Alaska. The website launched in 2001 but our staff have been active in the industry since 1986! We regularly speak industry hiring managers, fishermen, and others who work in Alaska. Also, check out these interviews with fishing industry experts – it’s exclusive information! Start Your Membership Here (for only $3.95). Get Started with Your Alaska Job Search Now! Alaska fishing jobs are fairly plentiful, but to land a job, it takes a lot more than just getting a list of addresses and phone numbers. It takes having in-depth industry knowledge and a proven strategy. You need to understand the complexities of the Alaska fishing industry and have the insider tips. One of the worst things a person can do is to call Alaska fishing companies and waste their time asking a bunch of basic questions. You need to respect their time. As with any job, you need to spend a little time educating yourself about the industry. This will set you apart from most of the others looking for a job in the Alaska fishing industry. We will provide you with the necessary Alaska fishing industry knowledge, a game plan on how to get the job that’s right for you, and proven strategies on how to maximize your earnings. Plus a lot more! 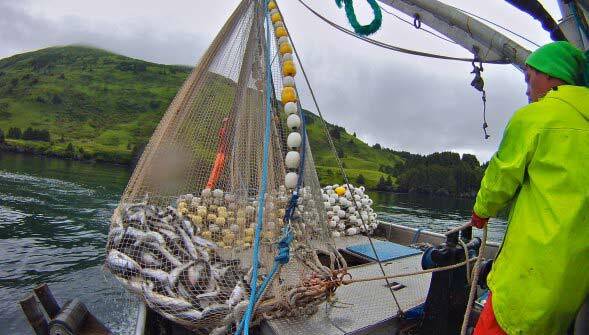 AlaskaJobFinder goes beyond the fishing industry. You’ll find job postings from Alaska oil companies, wilderness lodges, cruise lines, airlines, and tour companies too. What specifically do I get with your Members Services Section? Featured Jobs – Job postings from Alaska employers that need employees right now! Many of these job postings are not advertised anywhere else. List your resume and personal profile in our proprietary JobSeekers Database that employers can search to fill open positions. Not just fishing jobs! We have lots of job listings and detailed profiles of cruise lines, tour companies, adventure travel companies, fishing/wilderness lodges and other great employers in Alaska. Video clips showing you interviews and actual footage of working in the fishing industry. Whether you are looking for a great summer job or employment in the fall, winter or spring, AlaskaJobFinder can help you find the Alaska job that is best suited for you. Find and apply for the latest fishing and seafood job openings today. We make it so easy! Plus, learn about hard-to-find employers in our directory and post a personal profile so that employers can contact you. 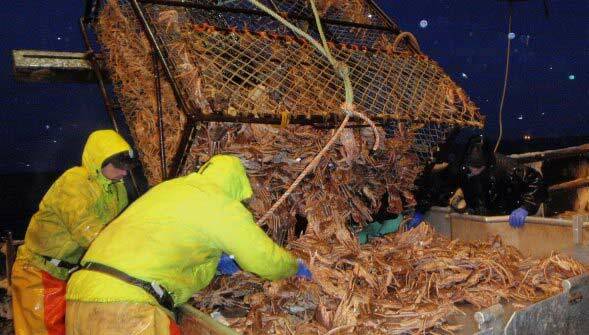 Authoritative, easy-to-understand Alaska fishing industry job information! Get accurate job descriptions, Q&A interviews with fishermen and deckhands, pay scales, and job search tips. More than 1,000 detailed employer profiles – seafood companies, fishing boat owners, cruise lines, setnet operations, salmon hatcheries, Alaska oil companies, and leading travel and tourism employers. In the AlaskaJobFinder Members Section you’ll learn exactly how others have successfully found work – and how you should conduct your own job search. No other website or resource has the “know how” and expertise! Get the latest Alaska fishing and seafood job postings – plus seasonal tourism positions – sent to your inbox daily. Use keywords to target specific kinds of jobs. Fishing boat deckhand, seafood processor, Alaska tour guide, … you choose! "I'll definitely recommend your site. It's well put together and a fun read as well as super informative. It helped our son get hired." "I began receiving calls from crew candidates immediately after posting my ad on AlaskaJobFinder. I had someone hired for my salmon gillnetter within an hour. Thanks so much!" "I have accepted a deckhand position and truly look forward to a summer in Alaska. Thank you for providing an excellent employment tool and reference guide." "AlaskaJobFinder is invaluable to me as an employer. I have in a short time come to rely on the college students looking for summer work. Thanks a lot." "Thanks a lot for the service - I landed a job salmon fishing on the Kenai Peninsula! Thanks." "I used AlaskaJobFinder and we got a great crew this year. I have passed your site on to other fisherman. Keep up the great work."